Getting rid of black flies isn’t easy, and will require some environmental considerations. Black flies, also known as Buffalo Gnats or Turkey Gnats are a big problem where there’s running water nearby. We’re not talking household flies here, we’re talking the mean ones that spread disease through their bites. 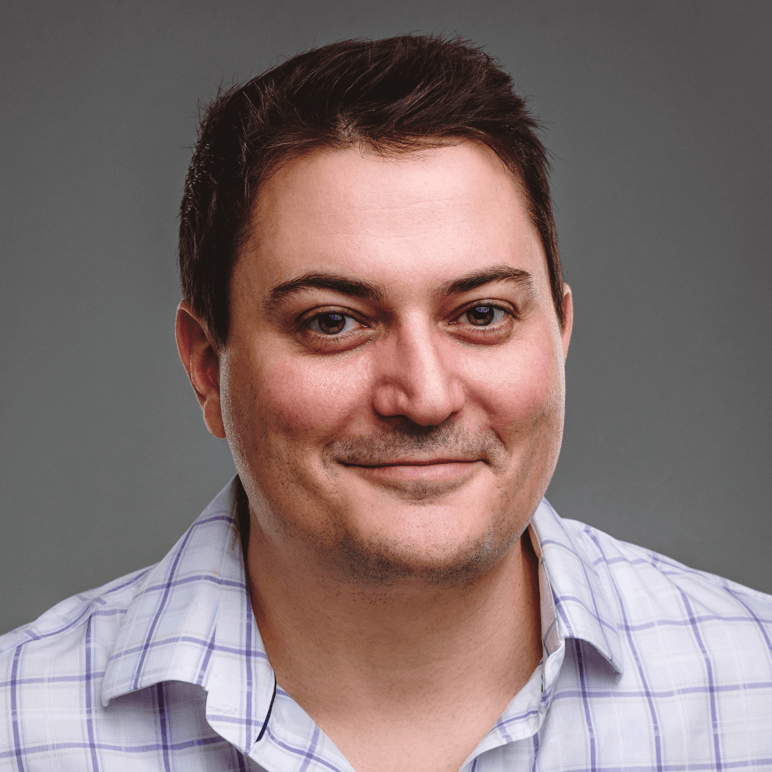 We’ll discuss what to consider when trying to control the population of black flies first, and then how best to protect yourself from their annoying bites after! Black fly larvae require moving water to survive. Stopping the flow of water with a temporary dam will deprive many black fly larvae of a suitable habitat and prevent them from maturing into adult black flies. 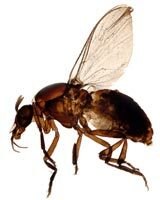 Timing here is critical, and it should be done about two weeks before the black fly population usually reaches its peak. Talk to your local conservation office to find out if it’s legal for you to dam the stream/creek in question, and ask them when the black fly population is highest in your area. Black fly larvae not only require moving water, but they also require objects in the water to attach themselves to. They do this so that they can filter nutrients from the water that passes by. 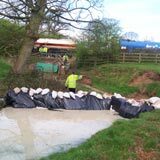 If you couple a temporary dam with debris removal, you may end up sparing yourself an arduous summer of tucking in socks and spraying yourselves down with bug spray in the mornings and afternoons. However, this technique can also be an effective stand-alone population reducer. Timing is less of an issue if you’re considering trying this black fly control strategy. As we’ve mentioned already, are an excellent way to help reduce black fly populations when they’re used in conjunction with the two techniques described above. Remember that BTI cakes should be deployed 3–4 weeks before the peak black fly season and that most cakes have a lifespan of 30 days or less. Redeploying BTI every 20–28 days should ensure that you have a constant source of BTI in the water throughout the warm season. They’ll get rid of mosquitoes, too. You can get a pack of 20 Mosquito Dunks from Amazon. 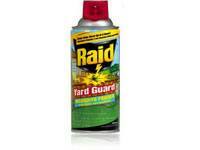 Foggers like Raid Yard Guard Outdoor Fogger and Spectracide Bug Stop Insect Killer, provide an immediate, but temporary, relief. Pyrethrins biodegrade quite readily, so if you’re concerned about the environment, it isn’t as dangerous, though watch for your pets. Cats are particularly sensitive to pyrethrins. 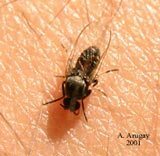 This is a temporary form of black fly control, and black flies are known to fly several miles before finding a blood meal. You should apply this to areas where black flies bite. 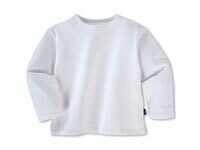 White, off-white, and light tan colored shirts and pants seem to attract less black flies than darker colors like blue, red, black, green, or brown. Anecdotal evidence provided by hunters, campers, and people who spend a lot of time in the woods suggests that it does. Other than word-of-mouth evidence, there doesn’t appear to be any research supporting this claim, but it’s worth a shot. Oh, and remember to tuck your shirts and socks in! Impregnated clothing is usually treated with permethrin, a synthetic form of the natural insecticidal properties discovered in Chrysanthemum flowers. 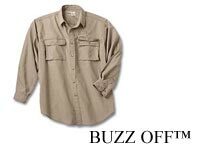 An example of clothing brands that offer such garments would be Buzz Off Insect Repellent Apparel. 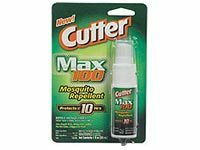 A well known company called Sawyer also makes a product called Premium Insect Repellent Clothing Treatment that you may apply to your own clothing. This is probably the most cost effective means of obtaining treated clothing. 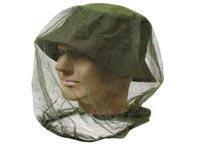 Head nets are perhaps the most effective physical control of black flies in your immediate personal space. Plenty of companies that are willing to solve your black fly problem on the cheap with this rather basic invention. We would recommend either Cabela’s Mosquito Head Net (shown here), or Coghlan’s Mosquito Head Nets—both of which are cheap ways to ensure you don’t ever swallow another black fly again. Or you can give Sea to Summit Mosquito Head nets a try, you can find them at Amazon. What we’re about to suggest here is for educational (almost hypothetical, really) purposes only. The hypothesis is this: BTI (Bacillus thuringiensis subspecies israelensis) has been shown to kill black fly larvae before they mature into adults; under certain conditions, it may be possible to reduce black fly populations within a small area or location, so long as black flies are not a strongly established pest. In other words, if you have a small stream in your backyard, and black flies are a problem but not a very big problem in your region, you may be able to apply BTI to the stream/creek and reduce the black fly population significantly—but only if the application of BTI is timed properly. BTI for consumer use is usually sold as something called Mosquito Dunks. They are donut-shaped cakes that contain roughly 10% concentrations of bacillus thuringiensis israelensis—a bacterium that acts as a larvicide. 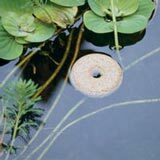 When applied to small ponds, swamps, or lakes, these cakes can be effective for up to 30 days. Of course, concentrations and lifespan are most likely reduced if these BTI dunks are applied to a small stream or creek. So, you will have to keep an eye on these dunks, checking periodically to see whether or not they’ve completely dissolved. To be on the safe side, you may want to reapply mosquito dunks once every 15 days. 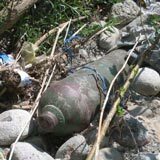 You should also consider applying BTI at various points in the stream or creek, to ensure that BTI is being dispersed throughout the entirety of the water supply. You might start at the head of the creek and work your way down, dropping a dunk in every 50–100 feet or so—depending on your budget. Before you even consider trying to apply BTI to a water source, you need to consult your local conservation office or extension service to make sure you’re not breaking any laws. While you’re at it, you may want to consult said offices about possibly starting a BTI control program in your community. This is probably a better idea than trying to control black flies on your own property due to the black fly’s propensity for traveling several miles before finding a human to bite. Generally speaking, BTI black fly control programs are most effective when managed at the state or county level. Planes and helicopters are usually employed to dust or spray BTI over large areas. Significant progress is being made with regard to the practice of BTI-based management in certain parts of the country where black fly populations are traditionally higher. Why get rid of black flies? 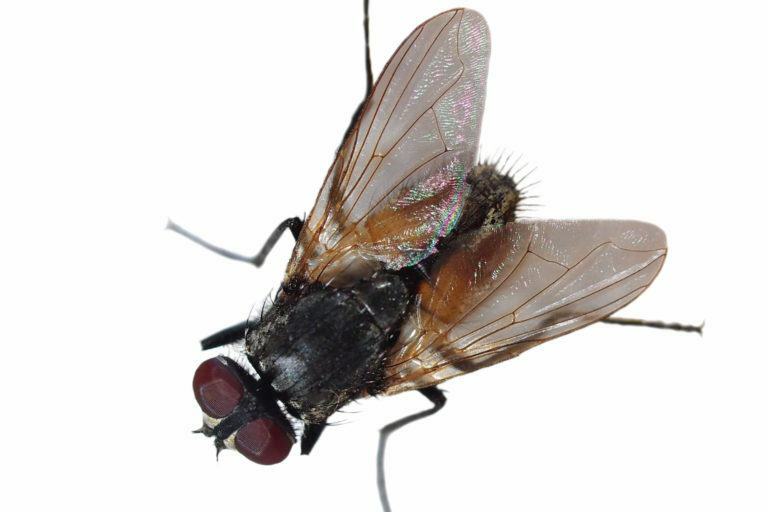 Not only can black fly bites be painful, itchy, and cause a strange numbness, but they can also transmit bloodborne pathogens. It’s not exceptionally common for a human to contract a disease from a black fly, but because black flies do feed on blood, the possibility cannot be ruled out. To date, an illness known as River Blindness is the most common disease contracted from black flies in countries other than the United States. Perhaps the most obvious reason to get rid of black flies is to decrease the chances of an allergic reaction taking the life of a loved one, a pet, or even your livestock if you run a farm. That kind of loss can’t really be made up.